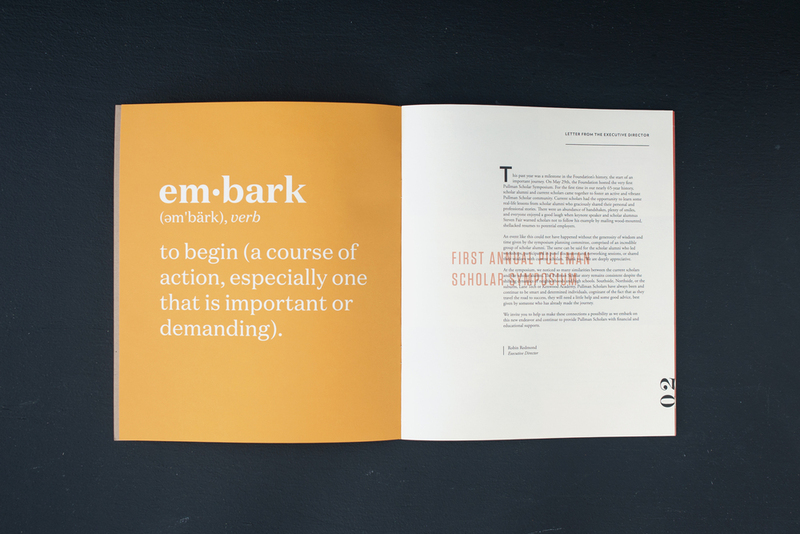 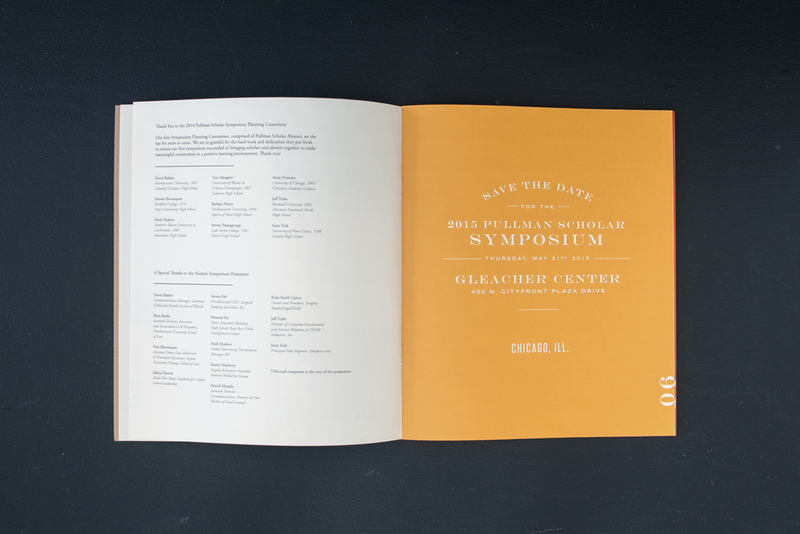 The McQuades – Annual report design for the George M. Pullman Educational Foundation. 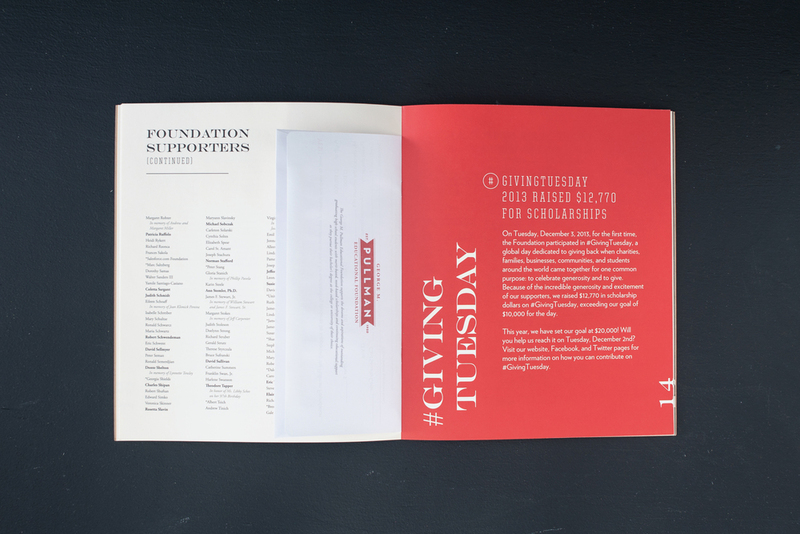 The Pullman Foundation is endowed by the estate of railroad magnate George Pullman and awards high school students with merit-based, need-based scholarships and continuing educational support. 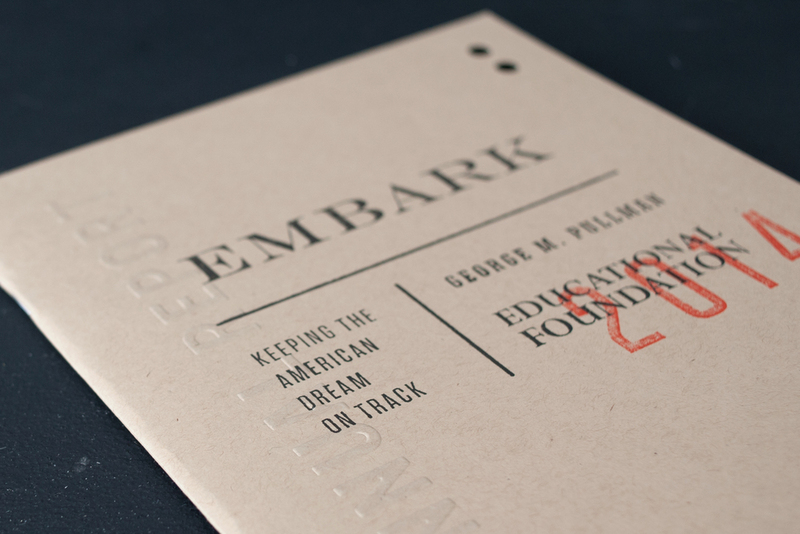 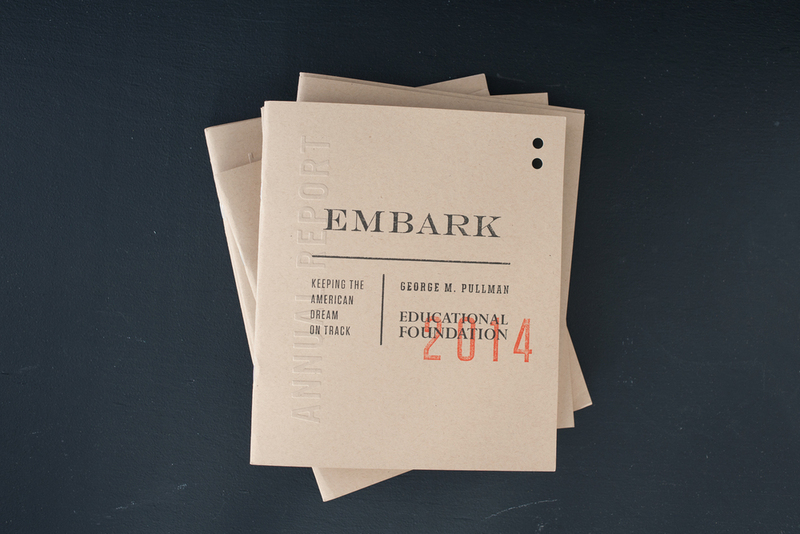 Annual report design for the George M. Pullman Educational Foundation. The Pullman Foundation is endowed by the estate of railroad magnate George Pullman and awards high school students with merit-based, need-based scholarships and continuing educational support. 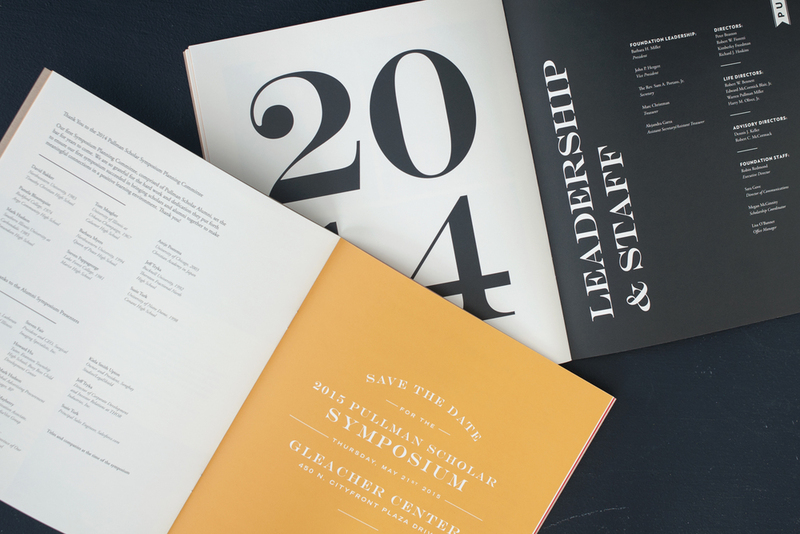 © McQuade inc. All rights reserved.